We understand that no one aims to come in second place; there is no recognition for mediocrity. We at Five Star Alliance understand better than anyone the importance of offering the most luxurious resorts in the world, so we notice what’s going on in the industry, and it matters to us, because it matters to you. We work hard to offer you the best in the industry, and we’d like to welcome you to our second blog series where we feature the best and most luxurious resorts in the world. But don’t take our word for it. These resorts have been recognized as the best in the business and have made the prestigious Condé Nast Traveler Gold List 2012. The Condé Nast Traveler Gold List 2012 is the eighth of their annual lists, and the hotels chosen by their team of editors and experts are the best for service, food, location, rooms, leisure facilities, ambiance and design. 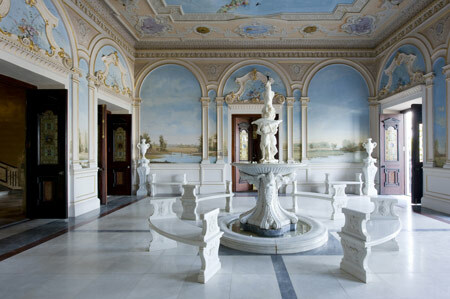 Taj Falaknuma Palace Saisons in Hyderabad, India is featured on the Gold List 2012: Best for ambiance and design. This luxury hotel is 2,000 feet above Hyderabad with 60 beautiful rooms that look out over the clouds and the city. The hotel features Venetian chandeliers, antique furniture, grand marble staircases, intricate fountains, stained-glass windows, a world-class collection of crystal, and Japanese gardens. The Palace Library is a collector’s envy, home to the rarest of manuscripts, books, and one of the most acclaimed collections of the Holy Quran. It’s clear why this luxury hotel has received recognition for its design, and we certainly recommend taking it all in in person by adding this hotel to your bucket list of places to stay.